What a rewarding year – Going from 30K in January to 400K in December! #WordPress user knows there’s no better way to design than #Elementor. Have you ever wondered how to choose a gaming headset? At first impression, it might seem impossible to find the best pair of headsets for gaming when you browse through the headphones rubric, especially when you have a defined budget and certain personal necessities. The methodology of buying a gaming headset in 2019 hasn’t changed dramatically compared to the previous years. Maybe you are used to the regular headsets and prefer stick with those, but quite a lot of new headphones enriched with captivating, innovative features appeared since 2018, which will become as common as the wired headphones in the forthcoming time. Some of the best gaming headsets might not be the cheapest, but are certainly the best performing. Above all, you’ll also be shown a few options within a thin budget too, in this any case regardless of your preferences none of you will be left out without. The Siberia 840 looks a lot like the old Siberia 800, an over-ear wireless gaming headset, with no changes made regarding comfort or sound quality, but a mobile Bluetooth operation made available to connect the headphones via smartphone mobile. The SteelSeries reigns as an imposing brand of gaming products for 18 years. Among headphones, the Siberia 840 (launched at 300$) is Steelseries’s flagship gaming headset, and also Siberia 800’s successor. They are adorned with all the appropriate requirements expected for gaming, including immersive surround sound and lossless high fidelity wireless. Audeze, one of the most prestigious brands of high-end hi-fi headphones, dived in March 2018 into the gaming industry with a new top-tier gaming headset for high-caliber players. 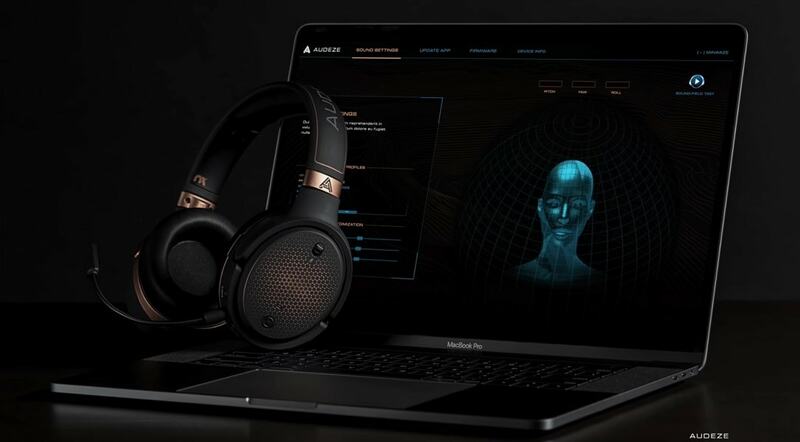 The event was of enormous surprise and truly intriguing; Not only because of the blending of an elitist brand like Audeze with the medium of gaming, but also for the expectations which had arisen by the upcoming of an alluring pair of gaming headsets and the unreal promises they’ve made. The luxury is easily sensed through the pleasant, comfortable stay of Audeze Mobius on your head, with the replaceable earcups wrapped with leatherette that enclose your ears perfectly while allowing for proper breathability. The build is rather competent for a top tier gaming headphones of Audeze’s caliber; the materials used are plastic and aluminium which are of satisfactory quality. The design of GXT 322s follow the same pattern as the previous Trust gaming headsets, but much similar to Trust Radius GXT 310C – The build doesn’t confess much sturdiness – the material used is plastic (as expected from a budget headset). The headphones are featherweight and pressure is well distributed. In terms of comfort, they are enjoyable even after hours of wearing. The controller is accessible on the left earcup of the headset (Volume wheel and a switch for turning them On/Off); As opposed to in-line controller, this implementation is much reliable. Both handband and earcups are enveloped in thick memory foam and mesh fabric for better breathability. There’s a high similitude in design between PDG1 and the other Audio Technica gaming headsets. The company took an unconventional approach when they conceived the design for their gaming peripherals. The red color on the earcups interior, lower part of the headband and a few fine colored lines here and there is the only hint that indicates the theme of gamers. With that said, the headphones can be used around as regular headphones with no shy, except for the open-back design which is to blame for the lack of sound isolation as well as disclosing the sound outside – Be wary of this detail before you buy the ATH-PDG1! In the end, the build is solid, extremely flexible and made with reliable materials: matte, sleek looking plastic overall and an aluminum slide bar. The slide bar is enveloped with woven fabric and filled with thick foam to sit and feel comfortable on the head, while on the top it’s covered in faux leather. The Cloud Alpha is an attempt by the leading specialist in gaming gears – HyperX to offer a gaming headset that would eventually meet the most stringent gaming requirements, providing a top-class 50mm Dual Chamber drivers with 7.1 Dolby surround system and indispensable solutions for in-game communication and comfort. In a concise side-note about sound quality, the sound starts from the low range with beyond quality and decreases slightly on the way up towards the upper range – through mids and treble. The Bass being more impactful than vocals and treble. Altogether it sounds balanced and exceptional. Let’s cut the chase and say it without embellishment: without the slightest possible challenge, the Cloud Alpha is worthy of its ambitions. For this model, the headsets use 50 mm drivers with a frequency. If you’re all for bass music and don’t care much about any other functionality, then you should buy SONY MDR-XB90EX. If you’re all for bass music and don’t care much about any other functionality, then you should buy SONY MDR-XB90EX. Still searching for the perfect gaming headset?